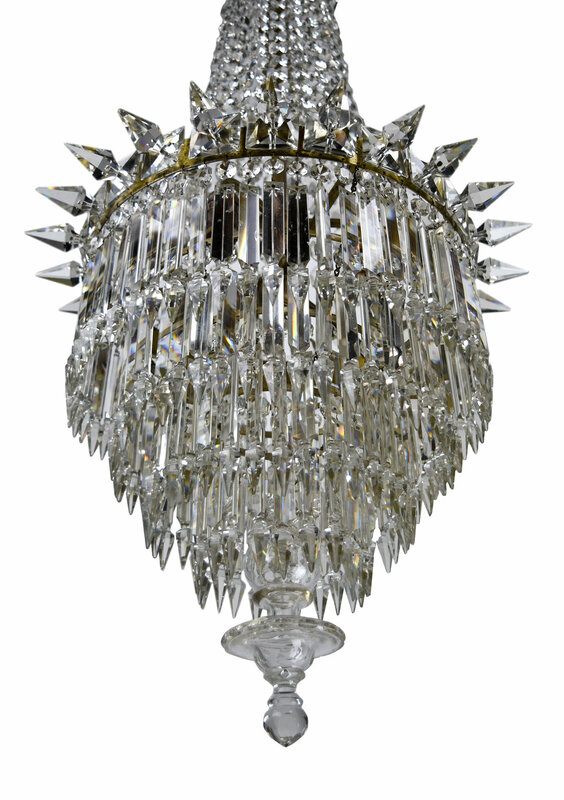 This stunning crystal chandelier features 4 rows of crystals and 25 uniquely shaped spikes adorning the circumference. 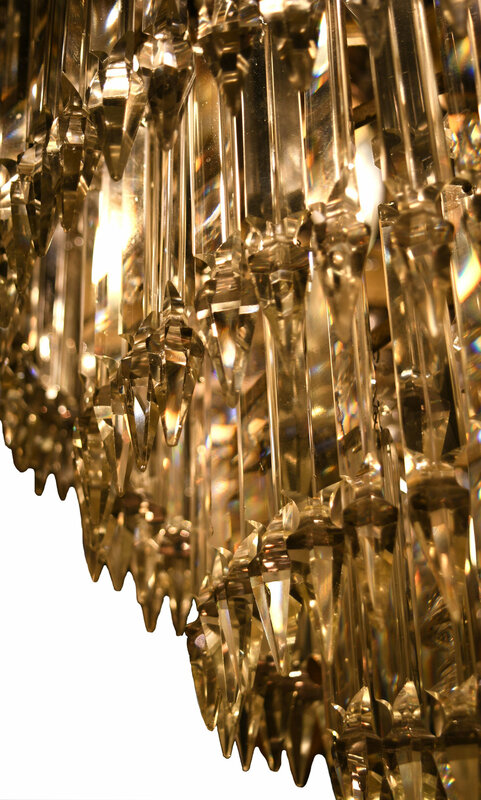 The copious amount of individual crystals and crystal swag give this chandelier a wonderful golden glimmer when illuminated. 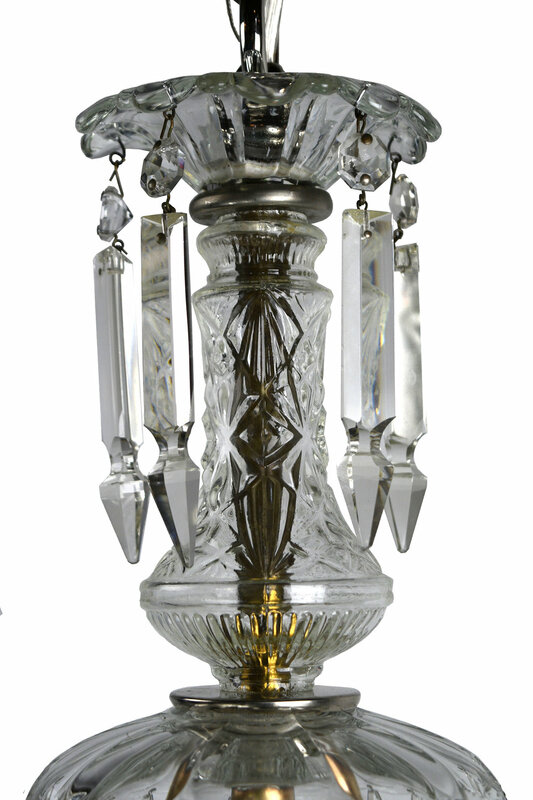 A large and symmetrically designed finial rests below, catching the eye’s attention. Be sure to include the Product ID AA#48126 when making your offer.